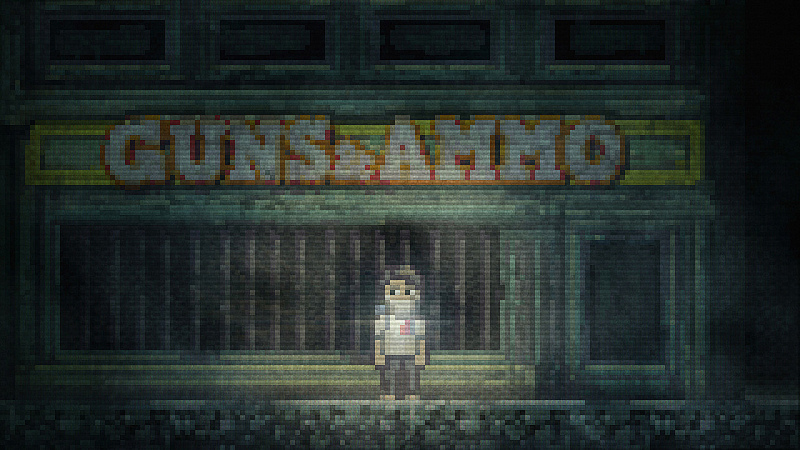 In a world where most modern horror games rely heavily on action and frantic combat, Lone Survivor: The Director’s Cut is a breath of fresh air. This is a game that manages to crank up the suspense while providing an intense, creepy atmosphere, all while being presented in a pixelated 2D environment. The game tells the story of You, an unnamed protagonist (in his words, his name “doesn’t really matter anymore”) who is seemingly the lone survivor after a disease wiped out the rest of the population. Tired of being stranded in his apartment, he decides to head out in hopes of finding someone, anyone, who might still be alive in this post-apocalyptic world. Of course, our hero isn’t really alone. Just outside of his apartment, he finds a truly repulsive, faceless monster whose presence is punctuated by piercing static and muted screams. Initially armed with nothing but a flashlight, the only way to get past this ghastly creature is to hide in the shadows and attempt to sneak past it. This is a common occurrence, as the monsters become more and more frequent in their appearances. Eventually, you’re able to get a gun, providing an alternate method to deal with enemies, but ammo is so scarce that it is often best to be as stealthy as possible. 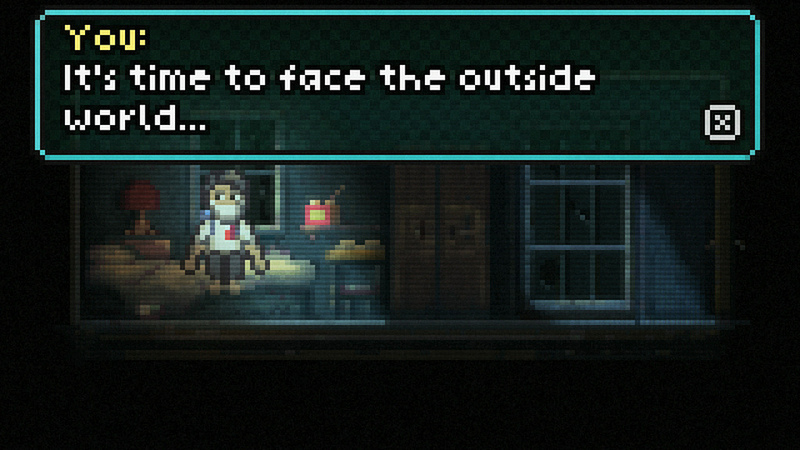 Much of Lone Survivor takes place in the dark, and strategic use of the flashlight is necessary in order to find your way around. Again, supplies are scarce, so it’s best to conserve the battery. 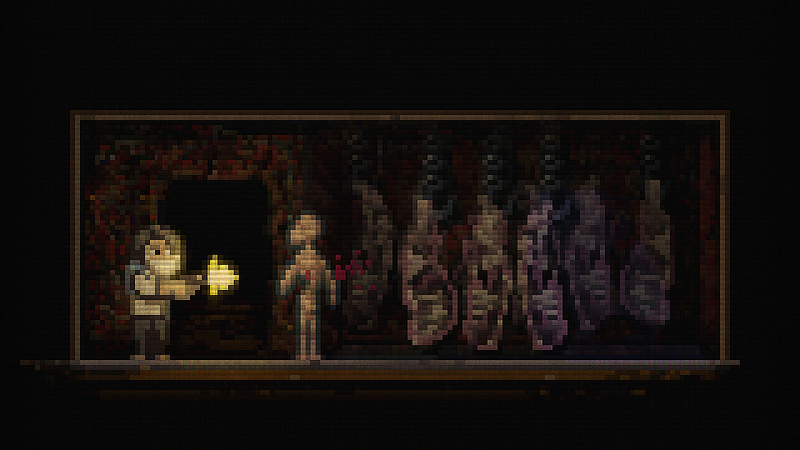 This can make it tricky when scoping out an unfamiliar location, as even the slightest glimpse of light will cast the creatures into a frenzy, chasing you until you reach a new room. Perhaps even more frightening than the relentless enemies is the rapidly deteriorating mental health of the protagonist. In order to stay in good (or at least acceptable) shape, you must eat often while also getting a proper amount of sleep. There are food items scattered throughout the in-game world, some good (fruit salad), some bad (squid on a stick), but all are beneficial for keeping your stomach full. There are no health bars or other HUD reminders — the only way to know if you need to sleep or eat is through random text prompts. Wait too long to do either and you will begin to hallucinate, which is never a good thing. You can also talk to plants and stuffed animals to keep your sanity, and if you play your cards right, you might even be able to befriend a *real* cat. The frequent reminders to eat and get some rest only add to the already riveting tension, and with a possibly insane protagonist, it’s difficult to tell what’s real and what’s merely in his head. As such, the game has an intriguing cerebral element, becoming something of a psychological thriller in its own right. Now, while the game absolutely succeeds in providing a haunting atmosphere, it does have some noticeable issues with its core gameplay. For one, there is a lot of backtracking. In order to save progress, you have to frequently go back to your apartment and rest, although this is helped somewhat by teleporting mirrors scattered throughout the building. Many of the doors are also locked at first, requiring you to explore and find their keys in order to get through them. This can be a tedious affair at times, especially when you find yourself going back and forth between the same two locations. There are also concerns with the game’s combat, as using the gun feels clunky and occasionally unresponsive. The gun can be aimed in three directions, but it’s difficult to actually fire off a good shot in the way you want to. This does make enemy encounters even more disturbing, though it feels like kind of a cheap tactic to do so. Still, flaws aside, this is a very unique horror experience that is an especially excellent fit for the PS Vita. 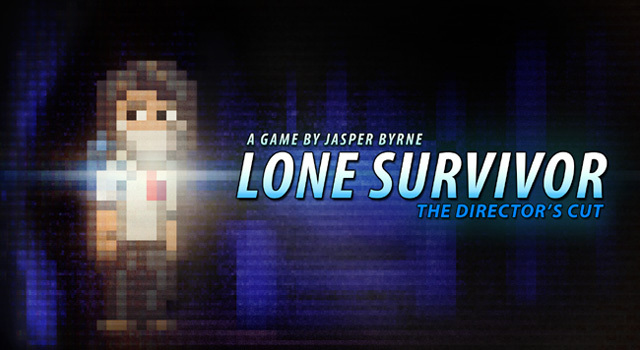 As the Director’s Cut, this is the definitive edition of Lone Survivor, and it includes new locations, dialogue, music, endings and even a New Game+ mode. The campaign can be finished in just 3-5 hours, but multiple playthroughs are warranted in order to discover new endings and learn more about the game’s narrative. As such, there is a solid amount of value here for horror buffs. Just make sure to play this in the dark and with headphones on… if you dare. Hi Eric, just wanna comment on the poll this week. So far my fave Ron Howard films are the two with Russell Crowe, but I haven’t seen Rush yet. Hopefully this weekend! Hi Ruth, thanks for chiming in. I’m hoping to catch Rush soon, too. Heard mostly great things! Planning to see it tonight! Btw, have you seen Gravity yet? I’m hoping I can catch it at IMAX sometime this week though! Hope you do soon. Just posted my review but I saw it a week n a half ago, it still lingers with me to this day. Wow, that’s some serious staying power. It sounds like one of the rare groundbreaking films that come around every once in a great while. Will be making it a priority for sure! I’ll need to pick up this game.Thanks for the read! We are currently making our own Indie Game. No problem, good luck with your game! Thank you very much. Look forward to seeing your future posts. I really enjoyed this game and I’m not a big fan of survival horror stuff. Agree with you on a few of the issues though. Good game overall and a great write up! Thanks, Greg! Glad you dug the game as well.